← Dutch Kills Dock Delivery! 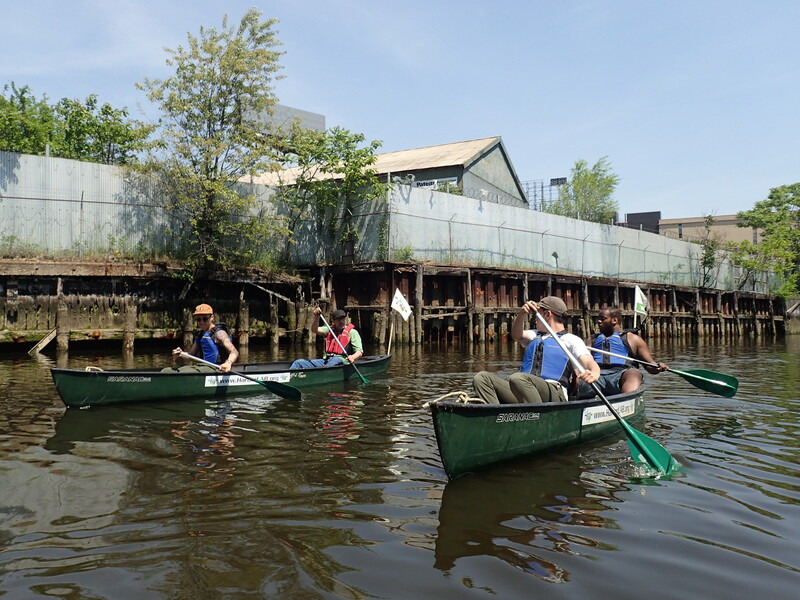 Last week HarborLAB had the joy of bringing students from the Beginning Photography class at LaGuardia Community College out for a tour of Newtown Creek, especially Dutch Kills, the branch of the Newtown Creek that nearly reaches their campus. Dutch Kills is also where the college’s environmental science program has focused its field studies, aided by a dock built and provided by HarborLAB. The Newtown Creek is of particular interest to researchers interested in habitat restoration, remediation, and bio-accumulation of toxins because it’s an Environmental Protection Agency Superfund Site. The students, under the guidance of Prof. Scott Sternbach, were great. Scott is both the director of the photography department at LaGuardia Community College and Chair of the HarborLAB board. Look to HarborLAB’s Facebook fan page to see students’ photos in coming days. Photos in this post by Erik Baard. The morning paddle yielded a few significant surprises. Dutch Kills was alive with a Great Egret, Mallard Duck, and nesting Canada Geese. The exceptionally low water revealed a bottom of soil, not the “black mayonnaise” we expected. That said, a layer of anaerobic ooze might lurk right below the apparent bed. We spotted more dead menhaden, but of course not in the millions as with the recent die-off at the East End of Long Island. Rotting pilings hosted mussels, and verdant banks graced the waterway, from bladderwrack seaweed to milkweed and mulberry trees. 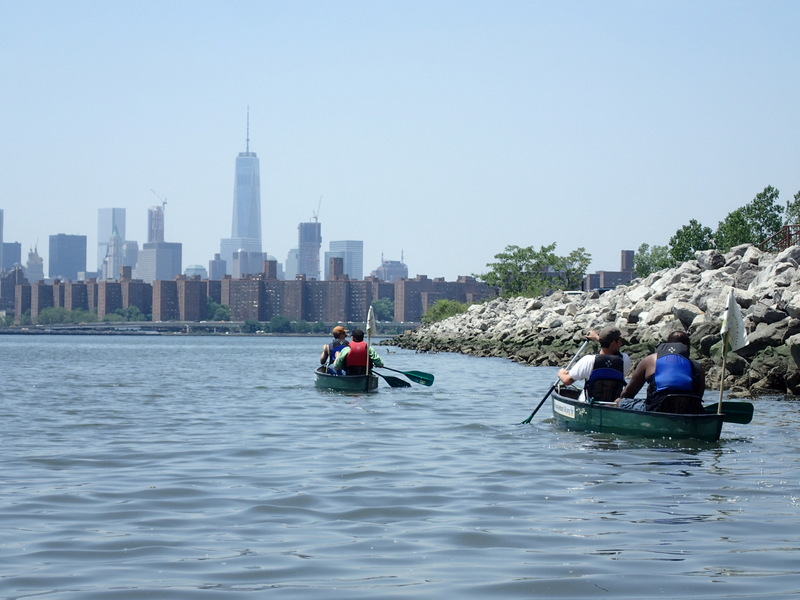 Naturally, the skyline at the Newtown Creek mouth was breathtaking for new paddlers. Mussels at the HarborLAB GreenLaunch.